Welcome to the NEEW way of building brands and doing business. 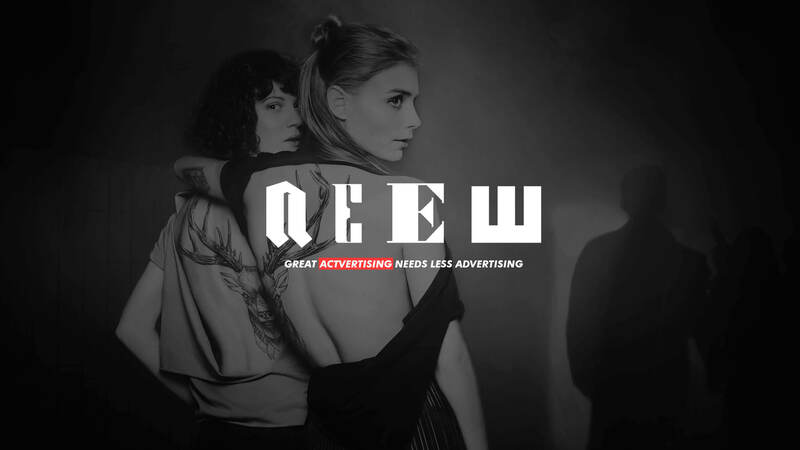 NEEW is a boutique creative agency that believes if your business is waiting till its comms to be creative, it’s already dead. Getting creative on the business first is the way for brands to innovate, grow and thrive. Resulting in desirable propositions, products, services and campaigns that need less advertising. NEEW develops brand and product strategies that lay the foundation of a durable and profitable future. NEEW helps marketeers to identify new business opportunities and develop creative marketing propositions that lead to growth and innovation. NEEW places top creatives and creative strategists at your workplace. The top-notch, multi-disciplined creatives at NEEW develop big ideas that help brands connect with the right audience, through the right channel, at the right time. Collaborating with the right production talent from our extensive network, allows us to bring these ideas to life in suiting fashion. to get down to business?